John Bunyan's allegory, "The Pilgrim's Progress". Eleanor demonstrates a strip technique of slicing rectangles into peaks then sewing them back together to form mountain and sky blocks. 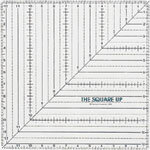 Climb to new heights with a pieced or appliqued epi-center! 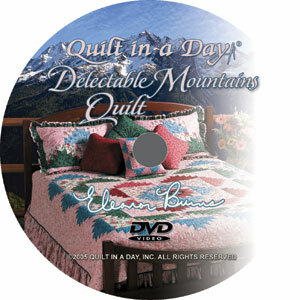 Then, scale down the mountain as Eleanor reveals how to miniaturize the Delectable Mountain quilt.